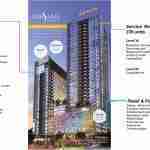 Malaysia property for sale in Singapore. All foreigner eligible! Malaysia property market has soften as compared to the past few years. There are opportunities for property investors who are willing to look the longer-term at the Malaysian Property market that looks positive with a sustainable outlook. The Malaysian economy is at a period when it is able to grow sustainable, even during a global slowdown. At the beginning of 2018, the ringgit has started to strengthen due to Malaysia’s stronger trade performance and higher oil prices have helped lift the currency after a prolonged period of decline. Before you start searching to buy Malaysia property, its good to understand some of the rules and regulations of Malaysia property for sale to foreigners. Malaysia, probably the only country in Southeast Asia where foreigners can own land easily and directly from developer sales or resale. There are wider selection from condominium, houses and townhouses. A minimum purchase requirement for foreign purchasers. The purpose of this is to allow foreign buyers in the mid to high-end segment, while not letting them drive up the value of homes in the price range of normal, everyday Malaysians. Typically the minimum purchase requirement is RM1 Million, but in the State of Selangor it’s RM2 Million and foreigners may only purchase landed properties if they’re in gated communities etc. Foreigner are restricted to buy property designated as “Bumiputra only” – Bumiputra meaning ethnic, Muslim Malays. At times, the property developer can apply to remove the restriction to enable foreign buyer to purchase. For any off plan development, the developer will usually allocate the Bumi lots reserved. So it is rather safe to purchase without going through all the checks before purchase. For HDB owners in Singapore, other than the regulation in Malaysia, you must also take note of the HDB regulation. If you are a HDB owner, you must fulfill your MOP (minimum occupation period), if you are buying any residential developments in Singapore as well as overseas. Typically the MOP period is 5 years. Medini Iskandar property for sale in Johor Malaysia has no restriction on foreign ownership, minimum price threshold for foreigner buying property in Malaysia. Medini Iskandar is designated as a special economic zone. But under this zoning, the property developments are mostly leasehold instead of freehold property. Real Property Gains Tax also known as RPGT, is a form of Capital Gains Tax that is chargeable on the profit gained from the disposal of real property in Malaysia. In simple words, RPGT is basically the tax on chargeable gains derived from the sale of your land or a property. While a chargeable gain is the profit that you make for selling a property at a higher price than purchase price. For instance, you bought a property in 2006 at RM 500k. Few years later, you sold the property to others at RM 700k, so, you gaining a RM 200k profit from selling the property. Then you will be taxed of your RM 200k profit. The holding period prior to its sale is from the date on the S&P Agreement till to the disposal date. Call/whatsapp/Msg +65 97690525 to register or more information! Other charges when you are buying property in Malaysia. A guide on estimated charges of buying property in Johor Bahru(JB) and Kuala Lumpur(KL). any additional 50k=RM100 one time Registration Fee for Kuala Lumpur Properties is RM100 regardless of the purchase price of the properties. -Owning a property as a holiday or retirement home etc. Singapore’s high cost of living is due largely to Singapore’s government high land price policy. REITS raise rents and retailers pass on the cost to consumers, Car price and parking fees, hospitals beds are more expensive than hotel suites etc. Many Singaporeans cannot afford to retire in Singapore. Some want to retire in Bangkok or Malaysia for their cheaper healthcare cost and livable city conditions. That is partial the reason why Singaporeans had been investing in Malaysia property as a retirement home particularly in Johor Bahru with the close proximity to Singapore. Malaysia property is still one of Asia most affordable investment in the region with good growth amidst a resilient economy. GDP had been around 4-6% in recent years which is at a healthy range. Ranking being the top 6th country in the world as the most easiest and friendliness in doing business by World Bank. Malaysia rank top country to invest in with the top recipients of foreign direct investment, and its pro-business government offers a wide range of incentives to investors. Ringgit is undervalued for quite a while making it one of the most undervalued currency in Asia market. With the weak currency exchange, investors are taking this opportunity to invest in Malaysia. It’s set to rebound in the coming years. The Malaysia Government program, the Economic Transformation Programme (ETP), is on track to propel Malaysia to become a developed nation. Malaysia currency has weaken against Singapore dollars making it more attractive and affordable. -KL is the capital city of Malaysia, a gateway city for international companies to have their presence in Malaysia. -A transformation of KL to Greater KL to cater for a higher populationset to grow. 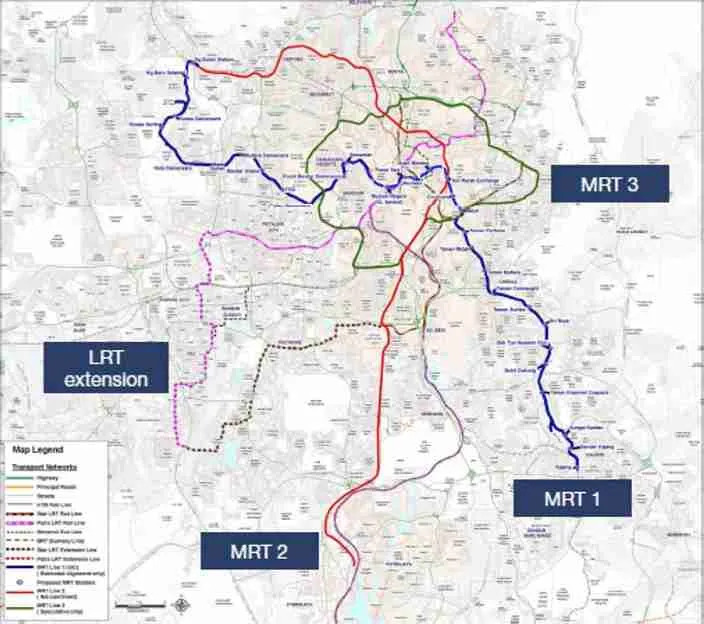 -Improvements to transportation networks within the city contribute to KL’s long-term investment potential. -The upcoming High Speed Rail (HSR) connecting Singapore and Malaysia, making it more accessible between both countries. Johor Bahru will go through transformation. Starting with the government initiative of the IIBD. 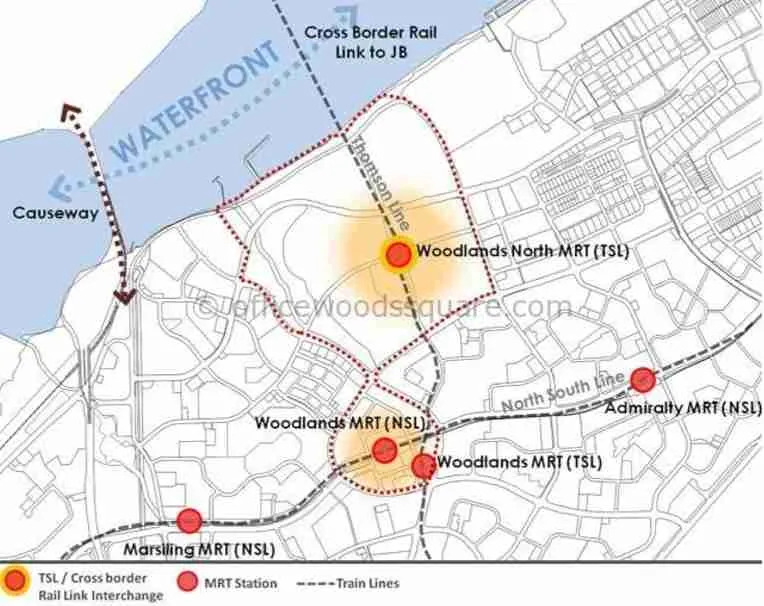 Train service from Singapore will link to JB. Click on the link to explore more; Overseas Development for sale. A Freehold Tri-Development consists of a 4-star hotel, mall and residential unit. at Johor Bahru City Center within the Ibrahim International Business District (IIBD). Along the corridors of Jalan Wong Ah Fook and Jalan Trus. A short walking distance to JB Sentral and Johor Immigration (CIQ). Located at Johor Bahru City Center within the Ibrahim International Business District (IIBD). Along the corridors of Jalan Wong Ah Fook and Jalan Trus. A short walking distance to JB Sentral and Johor Immigration Checkpoint(CIQ). Prices starting from only Rm 7xxk. Last few development available to foreigner below Rm 1 million. The Luxe KL @ Kuala Lumpur City Center. Developed by Singapore developer with steady track record, Infinitum, Macly Group & Roxy-Pacific Holdings. Freehold mixed development(with retail outlets) beside a major shopping mall, Monorail(train) station and hotels. Dual keys concept for all units to maximize rental yield. Own freehold condominium in KLCC, with attractive rebates and discounts (S$15K to start). Click the below link to understand more on the country’s taxes, rules and regulation when buying overseas property. If you have any queries or need any other information, kindly fill up the form. *Disclaimer*: Regulated by CEA. All forms of investments carry risks, including the risk of losing all of the invested amount . Such activities may not be suitable for everyone. This is an overseas investment. As overseas investments carry additional financial, regulatory and legal risks, investors are advised to do the necessary checks and research on the investment beforehand. Details of Guaranteed Rental Returns will be accompanied with respective Sales & Purchase Agreement. Copyright © 2018 Your New Asia Home. Powered by WordPress. Theme: Spacious by ThemeGrill.